One of the unexpected bonuses of creating 4 the Love of Sport has been the opportunity to meet and talk with young women who are using their talent to make a difference. In this instance it is semi-professional footballer and Level 2 coach Amber Stobbs. 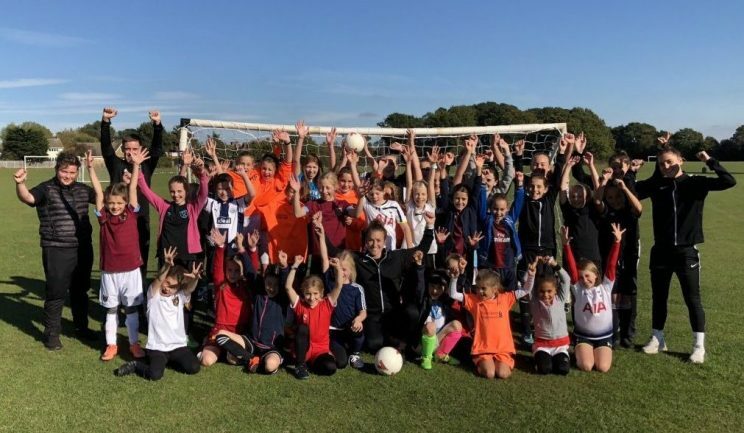 Amber currently plays football for Charlton Women while also running Equal Focus Football (EFF), a coaching company aimed at providing girls with the opportunity to play football. Last season Amber played for West Ham and worked for the West Ham Foundation as Women and Girls Officer, going into schools and engaging with young students. 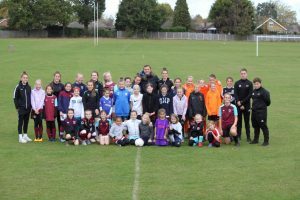 It was at West Ham that she had the chance to get to know men’s captain Mark Noble who runs children’s football camps. During their conversations Mark told Amber he would like to get more girls to attend the football camps. Together they decided to set up Equal Focus Football with Mark taking a supportive role since he had been running training camps for a while he has a lot of valuable experience as well as helpful advice. Currently camps are offered to girls aged 5-14 but Amber plans to go into schools to work with older girls. She also offers clubs the opportunity to have EFF conduct coaching sessions. Sensibly Amber is trying to grow EFF in a manageable way, whilst aiming to become well-known as a provider of high-quality football coaching. She would like to make a real difference and have a positive impact on girls’ lives both on and off the pitch. 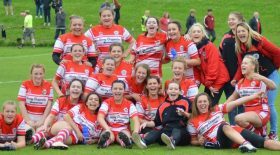 Whilst girls can now become professional footballers, they can also just enjoy the sport and have fun being part of a team. Through her own experiences she can show her young players how much can be achieved with the will and determination. This is all a far cry from the young girl who at the tender age of 6 joined the local boys team. At 7 Amber attended a Crystal Palace football camp with her brother, her potential must have been spotted because she was invited to join an U12 side. From then, on Saturdays Amber played for a girls’ team and on Sundays a boys’ team. 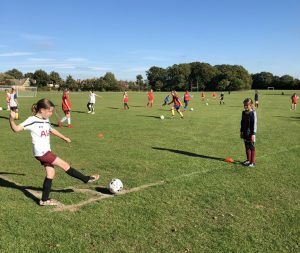 Unfortunately, because of the FA regulations in place at the time, from age 11 Amber wasn’t allowed to play in the boys’ teams any longer so she continued in girls’ teams (which from age 9 had become Arsenal). 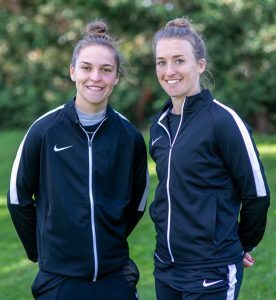 When she was 16, Amber was given a 2-year contract at Chelsea’s Academy, where Casey Stoney was a coach, which she actually made the brave move to cut short by a year in order to take up a scholarship with Hofstra University in New York. Amber returned to the UK after graduating with a Bachelor’s degree in Psychology and a Masters in Sports Science, plus having played for 3 years as a semi-professional with Washington Spirit. From there, as previously mentioned, Amber played for West Ham and is now a part of Charlton Ladies in the Championship. The profile of women’s football is growing rapidly, from the success of the Lionesses to the launch of the professional Super League. Now thanks to players like Amber the opportunities are also there for youngsters to hone their skills, grow their confidence and pursue their dreams. If you would like to find our more about Equal Focus Football you can explore their website here or email Amber at contact@equalfocusfootball.com.